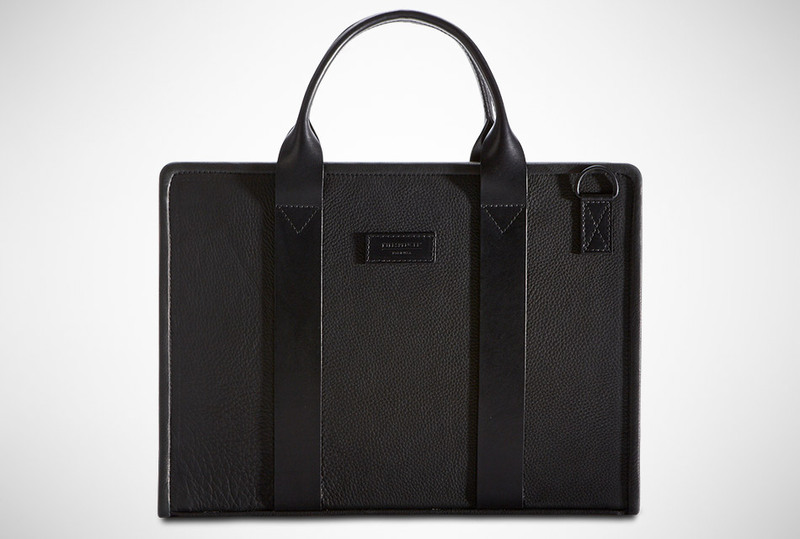 Durable and extra-tough, Killspencer's Black Leather Hardshell Briefcase is the briefcase for men who are all about business. This all-black document carrier features numerous pockets for your laptop, gadgets, accessories, and other essentials. It's enveloped in top-quality Scotchguard-coated premium leather and boasts of an adjustable cowhide leather strap, black bullhide leather handles, and Swiss-made Riri zippers. You'll love carrying this around.